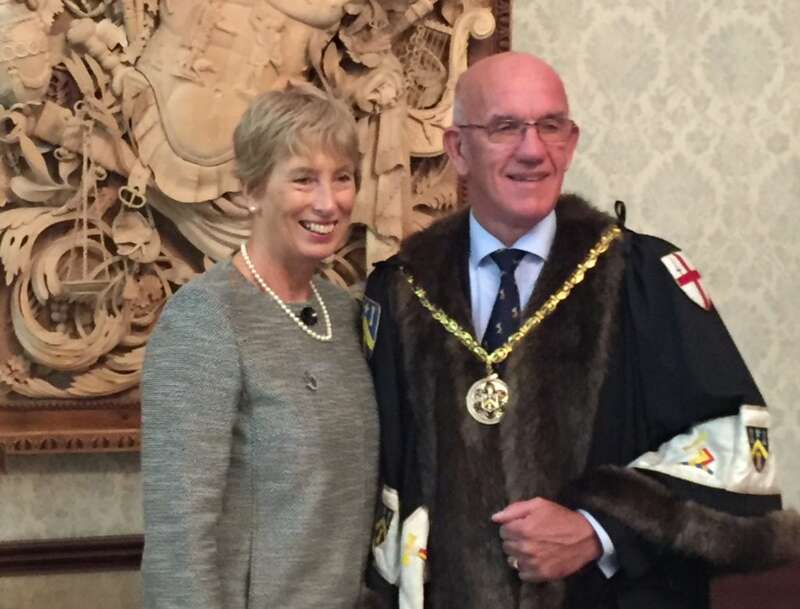 Former Managing Director of Hanson Building Products UK, David Szymanski, is to be elected Master of the Worshipful Company of Tylers and Bricklayers. David will become Master in a year that sees the City of London Livery Company celebrate the 600th anniversary of its first recorded Master. The Installation Ceremony and Annual Service will take place on 6 October 2016 at St Margaret’s Lothbury, followed by lunch at Carpenters’ Hall. David has been associated with the brick industry all his life. Many of his family were employees of the London Brick Company and David was raised in Stewartby, a village in Bedfordshire that was owned by the company. His association continued as the London Brick Company sponsored him to attend Bradford University where he gained an honours degree in Mechanical Engineering. David went on to become an engineer for LBC working in Iran during the revolution and in Swaziland. When LBC was taken over by Hanson plc in 1984, David took the opportunity to move into general management. He subsequently held a number of senior roles within Hanson culminating in the position of managing director of Hanson Building Products UK. Here his division had a turnover of £500 million and employed 4,000 people. In 2007 Hanson was taken over by Heidelberg Cement and in 2009 David left the business to enjoy what he calls “semi-retirement”. It may seem like the TTA Awards 2016 have only just taken place but it is not too early for Tile Association members to start thinking about their entries for next year. The TTA Awards for 2017 will be held on the evening of 19th May and will be returning to London once again for the tiling industry’s biggest event of the year. 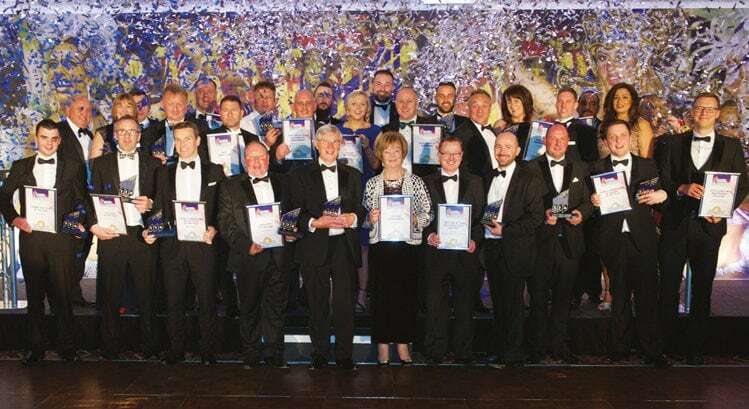 This year’s winners were unanimous in their enthusiasm for the Awards and the great personal pride and satisfaction which they and their companies derive from doing well. If you want to join the select group of TTA Award winners in 2017, it is time to start thinking about ways in which you might be able to enter. Every three years the Worshipful Company of Tylers and Bricklayers holds its prestigious Triennial Awards competition. Entries for the 2017 awards are now being accepted, so if you fit the entry criteria, please do put yourself or your business forward. The Triennial Awards identify the buildings or structures within the area bounded by the M25 motorway which best demonstrate all-round excellence in the use of bricks, roof slates and tiles, and wall and floor tiles. The Tile Association is managing the awards submissions for the wall and floor tiles element of the awards. Judging is rigorous. The entries received are whittled down to a shortlist in each category; each of these schemes is visited and assessed by a panel made up principally of members of the Company’s Craft Committee. This results in a final shortlist on which each scheme is visited and assessed by the Award Jury, usually chaired by an eminent architect and including the Master of the Company, the Chairman of its Craft Committee and a Liveryman expert in each of the three crafts. This process leads to the selection of a winning entry in each of the three categories and also, from time to time, a high commendation for excellence. The Awards are presented, often by the Lord Mayor of London, at a special ceremony in the City. 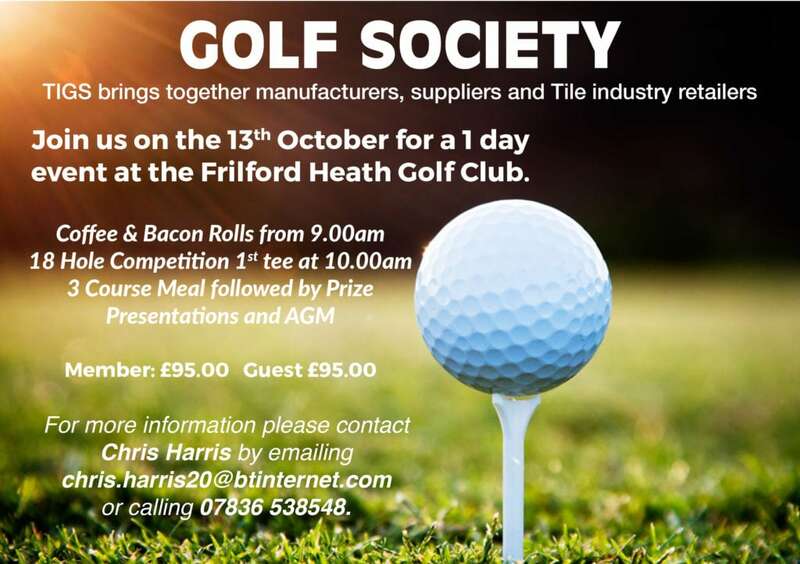 To submit your application, email admin@tile.org.uk. Please note that applications must be received by the end of the first week of October. 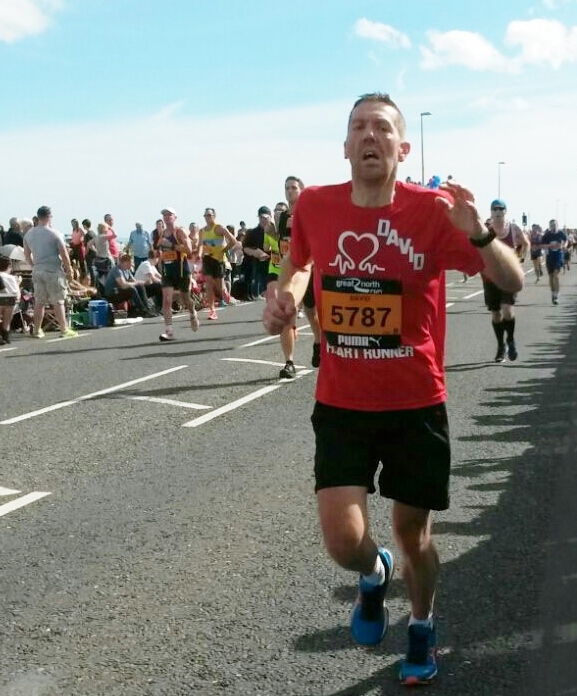 David Baker, Contracts Director at TTA member Plunkett Tiling, has been raising money for the British Heart Foundation with a series of challenges with his family over the last few months. David was inspired to support BHF after seeing the incredible care his dad received after he was diagnosed with heart problems last year. 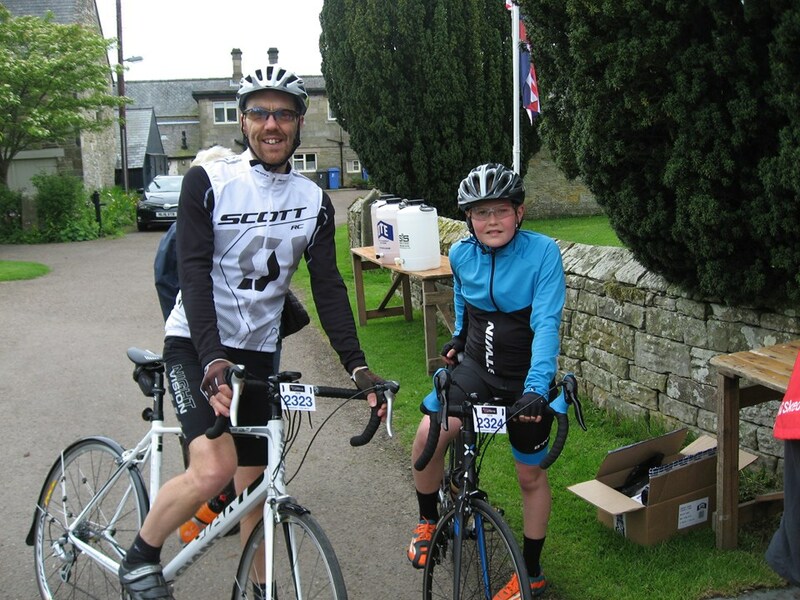 In July, David took on the 112-mile bike leg of a full distance triathlon, with niece Abbie conquering her first junior triathlon in the same month. And finally it was on to the Great North Run. 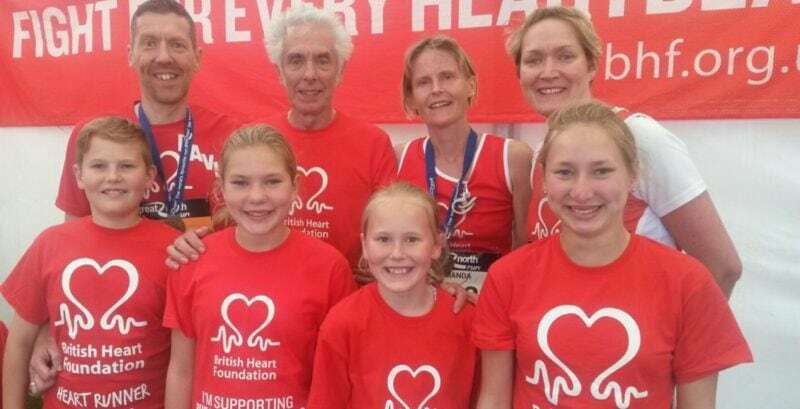 On 10 September, both of David’s children – Aran and Katie – together with nieces Abbie and Naomi, took part in the Junior Great North Run; before David – joined by wife Amanda and sister Alison – took on the full Great North Run the following day. “It came as a big shock to us all last year when Dad was diagnosed with heart problems,” David says. “He needed open heart surgery shortly before Christmas but the brilliance of those involved in his treatment and care inspired us to fund-raise for BHF. It’s been a gruelling challenge, but it’s certainly been worth it. David has almost doubled his original fundraising target, with close to £2,000 now raised. And there’s still time to make a donation so that even more money goes to the British Heart Foundation. Build UK today (21 September 2016) celebrates its landmark first year of bringing the construction supply chain together and delivering change across the industry. release of ‘Delivering Change’ which outlines the extensive progress achieved so far. Build UK’s commitment to bring the construction supply chain together to consider what best payment practice in construction looks like has resulted in agreement of best practice payment terms. The recent addition of major construction clients to the collective voice draws the first year to a fantastic conclusion and highlights the extent of Build UK’s progress. With Brexit presenting a fresh challenge, having all areas of the industry at the table will enable a joined-up approach as the organisation strives to mould the future of construction. Build UK has added the first client organisations to its collective voice as it continues to drive positive change by welcoming all areas of the industry to the table. Major industry clients Argent and Great Portland Estates plc are the first to join, with other private developers taking a keen interest in Build UK’s activities. Argent has delivered some of the best mixed-use developments across the UK, including major commercial, residential, education, cultural and community developments, and is key to the partnership that is developing the 67 acre site at King’s Cross. Great Portland Estates plc is one of the largest private developers in the capital with a property portfolio of over £3.7 billion, delivering new and refreshed buildings when quality space is scarce. Current projects include Rathbone Square, 73-89 Oxford Street and 160 Old Street, all of which total a combined construction project value of around £350m. Build UK was created in September 2015 to provide a strong collective voice for the contracting supply chain in construction and the introduction of client organisations to the conversation will further demonstrate the industry benefits of working openly and honestly. Results of the second State of Trade survey for 2016 show that whilst output from Build UK members rose before the EU referendum, there is uncertainty around future workloads following Brexit, with labour supply remaining a cause for concern. The latest Build UK survey, which was undertaken by Glenigan, reveals that industry capacity remains increasingly tight with 81% of contractors operating at over 75% of their capacity and 46% operating at over 90% capacity. Enquiry levels during the second quarter of 2016 experienced little change from the previous three months, however output has increased by 22% which is a substantial increase compared to the 5% and 3% recorded in the previous two surveys. When considering the upcoming quarter, 19% of contractors anticipate workloads to rise on the results of Q2 2016, with new build infrastructure and commercial sectors expected to be particular growth areas. However, this result is a decrease of 8% from the results of the last quarter (27%) and 11% from the Q4 2015 result (30%), reflecting the increasing uncertainty of the industry pre and post EU referendum. This feeling of uncertainty continues when assessing the next 12 months. Overall, 21% of contractors still expect their own workloads to rise, however this represents a 5% decrease on the previous quarter (26%), and a 26% decrease when compared to Q4 2015 (47%). Furthermore, whilst contractors feel that their workloads will be higher in 12 months’ time, they also reported that they believe that the majority of industry sectors will see a decline in output, with only repair and maintenance work in the private other sector experiencing an increase. Labour supply remains an area of concern for the industry, with 82% of contractors reporting that professional and technical employees were either ‘difficult’ or ‘very difficult’ to recruit. Three-quarters of firms cited difficulty in recruiting supervisors and bricklayers, with two-thirds specifying carpenters or joiners and ceiling fixers. Where contractors had experienced difficulties in recruiting staff, firms cited lack of experience (61%), lack of skills (57%) and a lack of qualifications (41%) as the reasons for the problems. These difficulties continue to impact upon the cost of labour, with 45% of respondents reporting an increase in labour costs compared to the previous quarter and almost two thirds (65%) reporting higher costs than a year ago. In terms of payment, 35% of contractors reported waiting at least 46 days on average despite only 18% having average contract terms of 46 days or more.